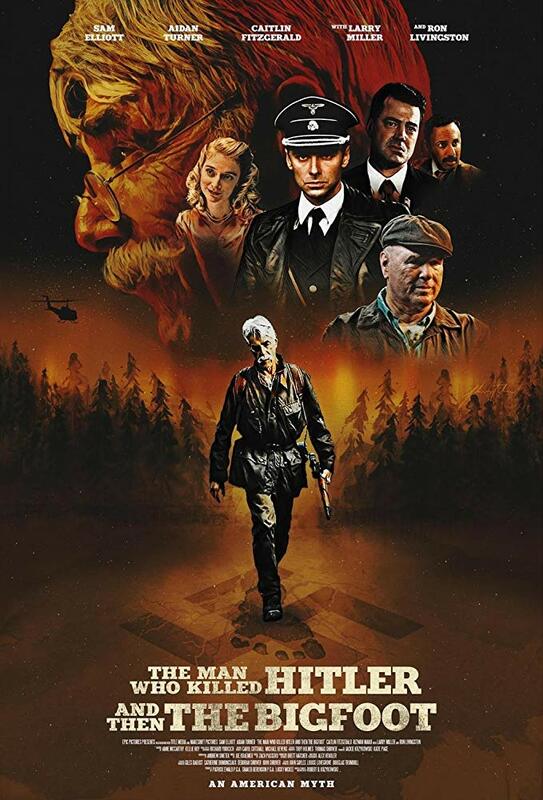 Boasting the year's most attention grabbing title, The Man Who Killed Hitler and Then The Bigfoot stars Sam Elliott as a former US agent once responsible for assassinating none other than the leader of the Third Reich. Years later his government tasks him with tracking down the not so mythical Bigfoot. Written and directed by Robert D. Krzykowski, the film also stars Aidan Turner, Caitlin FitzGerald and Ron Livingston. The Man Who Killed Hitler and Then The Bigfoot opens in US cinemas February 8th, with a UK/ROI release yet to be announced. Check out the first trailer below. Since WWII, Calvin Barr has lived with the secret that he was responsible for the assassination of Adolf Hitler. Now, decades later, the US government has called on him again for a new top-secret mission. Bigfoot has been living deep in the Canadian wilderness and carrying a deadly plague that is now threatening to spread to the general population. Relying on the same skills that he honed during the war, Calvin must set out to save the free world yet again.